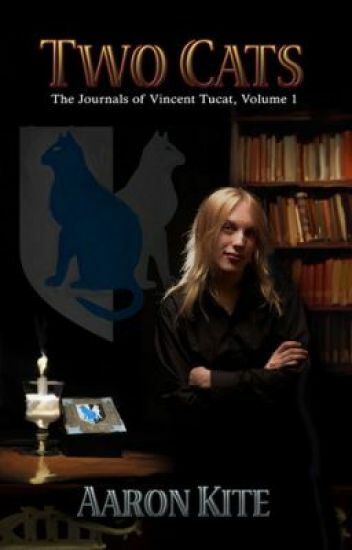 When Vincent Tucat learns he's to be robbed, he turns the tables on the thief to enhance his own reputation. However, in city ruled by thieves, burglary and politics often go hand in hand, and things are rarely as straightforward as they appear. Book 2 - Vincent Tucat is the most talked-about Lord in Harael, and that's not exactly a good thing. Dozens of Lords have been robbed from, and they all suspect he's the one behind it. To keep things from getting worse, he must track down an elusive thief who disguises himself as a wraith. At least, Vincent hopes it's a disguise . . . When you’ve been accused of kidnapping an emperor, and every enforcer in the city wants your head, it’s hard to prove yourself an honorable person and even harder to earn an imperial pardon. That doesn’t keep Amaranthe Lokdon and her team of outlaws from trying. When athletes start disappearing from the Imperial Games, they may finally have an opportunity to show the emperor that they’re on his side. If she and her comrades can get to the bottom of such a public mystery, they’re sure to get the credit. But plans go awry when Amaranthe’s own men start plotting against each other, the new ally she’d hoped to acquire tries to turn her in, and her best fighter—and closest friend—disappears. All of the books may be purchased from Amazon, Smashwords, Barnes & Noble, Apple, and Kobo. When your soul is hunted, you can't hide forever. Thousands of years ago, an evil known as the corruption seeped into the land. Where once it was contained by the Sentinels -- humans or elves gifted with magic -- it now thrives unchallenged, gaining strength and claiming those that once fought it for its own. Nineteen year old Skye has always known this. Living with demons on your doorstep is a constant fight for survival, but she’s determined to not become one of the corruption’s monsters. To keep her soul pure, no matter the cost. But with the Sentinels gone, betrayed by their own, it’s only a matter of time before the corruption seizes them all. When a scouting mission goes awry and Skye is taken prisoner, her blades can’t save her. Marked by the corrupted Sentinel, she waits for a fate worse than death to take hold. Only when the Silverborn, knights dedicated to fighting the corruption come to free her does something awaken within her. Something powerful. The power of a Sentinel. Celestial. Fire. Water. Nature. Shadow. None are safe from the corruption. It's been three months since former enforcer Amaranthe Lokdon and the notorious assassin Sicarius thwarted kidnappers and saved the emperor's life. The problem? Nobody knows they were responsible for this good deed. Worse, they're being blamed for the entire scheme. With enforcers and bounty hunters stalking them, and the emperor nursing a personal hatred for Sicarius, it's going to be hard to earn exoneration. When Amaranthe's team discovers mutilated bodies in the city aqueducts and a mysterious illness incapacitates thousands of citizens, she and Sicarius see an opportunity to solve the mystery and prove their loyalty. But they'll have to defeat vengeful shamans, man-eating predators, and deadly mechanical constructs, all while dodging imperial soldiers who would rather kill them than accept their help. Nobody said exoneration would be easy. The books are available at Amazon, Barnes & Noble, Kobo, Smashwords, and iTunes. Book 3 - It's been one full year since Prince Tenarreau struck a bargain with Vincent - his cooperation with the prince's plans in exchange for information regarding the circumstances concerning his family's murder. Vince has done everything Prince Tenarreau has asked for and more, but intrigue and betrayal are a fundamental part of Haraelian politics, and promises are only worth the integrity of the person making them in the first place. But Vincent has made a promise . . . one he fully intends to keep. Rena wanders a decaying land, searching for purpose to a life that was supposed to have been laid out for her. As a Mythic, the people worship the ground she walks on. To them, a Mythic is life, a living representation of the ley energy that sustains their world. But as a Mythic who doesn't know what ancient spirit resides inside her, she doesn't exist to the Order that raised her. Ignored and denied, Rena sets her sights on other problems. She puts her control over fire and powerful illusions to the test against the feral things that stalk the woods and follows hidden pathways through the silent forests, determined that if the Order doesn't need her, she doesn't need it. But the portals are closing. The ley is in chaos. The Mythics that can still save it are in danger, and Rena's about to stumble upon the biggest purpose of her life whether she's ready for it or not. Gwenwyn is the most miserable princess ever, and for good reason. Merely brushing up against her or touching her exposed skin is enough to cause painful burns, or worse. And if that wasn't enough, she's just discovered the singular reason for her existence - to act as the king's secret assassin, murdering neighbouring princes with nothing more than a simple kiss. Meet Joe Nobody . . . and pray he never meets you. He's average height, with an average build, and average looks - an instantly forgettable face in the crowd. Joe also happens to be a hit man, quite possibly one of the best in the world. He's so good, in fact, that most of his work life has settled into a comfortable routine, where everything goes according to plan, and nothing at all is surprising anymore. He's been just about everywhere, and he's seen it all. But Joe hasn't seen everything. Not yet . . .
**WARNING** - This work contains several curse words and some extremely violent themes and situations throughout. I mean, the main character is a hit man . . . there's your first sign. You've been warned.